Pastor Vince Goddard was born in Kensington, Portland, Jamaica and immigrated to England as a child. He is the eldest of six brothers and sisters, four of whom were born in the UK. He is accompanied by his lovely wife Joyce, a health professional, who was born in Rosewell, Clarendon, Jamaica. They are blessed with two grown boys and three grand children. Pastor Goddard studied Theology and History at Newbold College, Andrews University and Christian Life School of Theology. 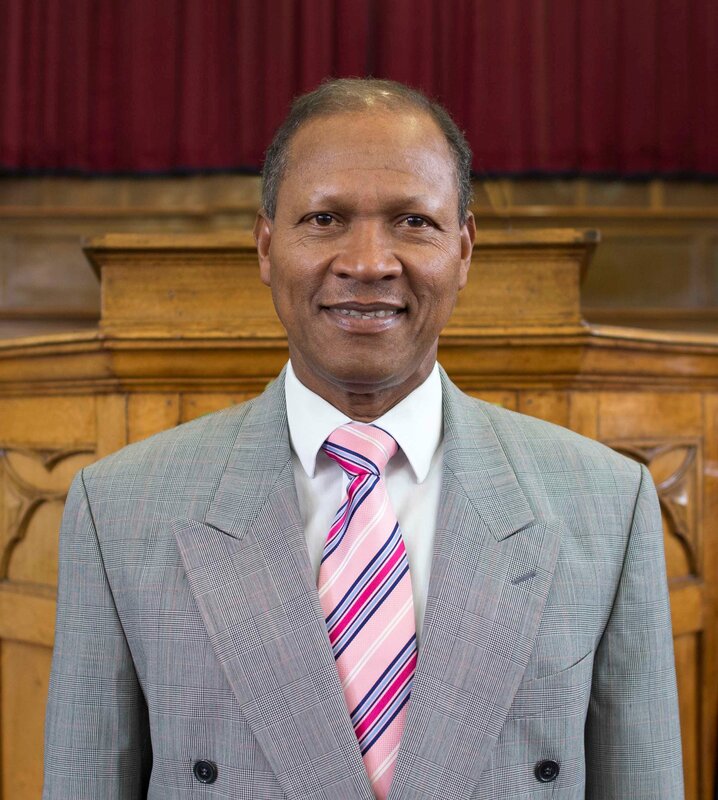 He has served the Church in various capacities as Pastor, Evangelist, Conference Director and Vice Chancellor of the SDA University in Tanzania. The Goddard’s spent thirteen “wonderful” years in Tanzania and South Africa as Missionaries. Dr Goddard is a possibility thinker and his motto is “With God all things are possible” Matthew 19:26.Dr Goddard’s passion lies in building churches, soul winning and building relationships among fellow believers. He believes by working together, we can make a difference! You can meet with Pastor at his weekly Wednesday Surgery (via appointment) from 12noon to 6pm. To make an appointment if you would like prayer, counselling or just to talk, email: pastor@myholloway.org or call 07855 677436.